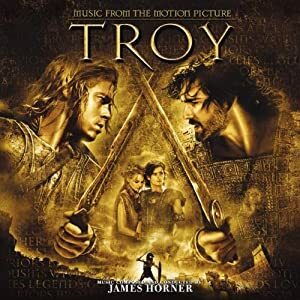 My impression of this album is that James Horner wanted to do his own version of Gladiator. I know this isn’t probably true, and there’s probably much on the album to disprove this, but its still the biggest impression I get from it. The calmer moments remind me of the calmer moments in Gladiator, “The Temple of Poisidon” reminds me of strongly of “Progeny”. One of the things that made the gladiator soundtrack so popular were the memorable two long epic battle tracks. This album has more than its share of the same. Anyways I find this album hard to use for gaming because of all the ups and downs and mood changes within songs. There are four GREAT tracks though which I strongly recommend for gaming use. “3200 years ago”, “Achilles Leads the Myrmidons”, “The night before”, and “Hector’s Death”. Check them out.